Gun Control in the Iowa Legislature! Iowa State Representative Ako Abdul-Samad never learns, and neither do his anti-gun friends in Des Moines! Despite the absolutely crushing defeat that anti-gun legislators took at the polls last November, Rep. Samad is ‘doubling down’ on his attempts to pass gun control here in Iowa. I hope you’ll help me send a message to the gun-control crowd in Des Moines that gun owners didn’t fall asleep the day after the November elections — more on that below. Rep. Samad, himself a former Black Panther member, has been on a decade-long war against the Second Amendment in the Iowa House. The reality is far more ugly. The truth is that Rep. Samad is trying to establish a statewide gun registry — and turn Iowa grandfathers into felons in the process! Samad’s bill is being touted as a “Universal Background Check” law for Iowa. It would mandate that before you sell or transfer a firearm to someone, you’d have to go through a government-backed background check first. In other words, the firearm and the new owner would be placed in a government database — forever. Sounds harmless, right? It’s not. Besides creating a defacto statewide gun registry, Rep. Samad’s bill would make you a FELON FOR LIFE if you don’t comply. Want to give your grandfather’s rifle to your grandson one day? If you dare hand down these heirlooms without government notification and permission — you’d be a felon! Want to give your adult daughter a handgun for self-defense? If you do this without notifying the government first — you’d be a felon! But more than that, these would cover temporary transfers, too. So if you loan a buddy a shotgun for pheasant opener (something that almost all of us have done) without going through this process — you’d be a felon! In fact, if you take a friend to the shooting range to try out the latest member of your firearms collection without running him through a government database — that’s right, you’d be a felon! If you think this is insane, you’d be right! If convicted under this law, law abiding Iowans would be facing fines of $6,250 and a breathtaking 2 years in prison! I don’t know about you, but I’m sick and tired of arrogant snobs in Des Moines trying to tell me how to live my life, especially in the area of my Second Amendment freedoms! Like many of you, I grew up shooting on my grandfather’s farm in rural NW IA. I still remember holding his Marlin Model 60 for the first time out behind his grain bins, trying to get the loading rod to line up the right way, and then taking those first shots. I remember him standing right beside me with a watchful eye, making sure that I safely handled the rifle as I fired some of my first rounds. I would imagine that many of you have similar memories, memories that many of us likely intend to recreate as we teach our children and grandchildren to safely handle a firearm. The idea of Iowa grandfathers being made into convicted felons should Ako Abdul-Samad’s bill become law, just about makes my blood boil. If you agree, please sign your petition today, telling Ako Abdul-Samad to leave our gun rights alone! Undoubtedly, Rep. Samad doesn’t think the chances of his bill passing into law are very high right now. But that’s not the point, or his goal. Gun-grabbers like him know that after the shellacking they took on November 8 — especially here in Iowa — that they have to work on rebuilding for a time. That’s what Samad is doing here. He’s testing gun owners like you and me to see if we have fallen asleep after the encouraging Nov. 8 elections. He and his pals are ALWAYS testing the wire, trying to gauge the reaction of gun owners like you and me, to see just how much we’ll stand for. If he can float trial balloons like this with no pushback from gun owners, he’ll be able to recruit more and more support from his caucus! Help us push back — by signing your petition now! The members of Iowa Gun Owners are some of the most feared activists in the state. It’s no wonder why. In 2010, after anti-gunners voted against Constitutional Carry, Iowa Gun Owners educated our members and other gun owners about the record of dozens of members of the Iowa House. Dozens of legislators lost their re-election campaigns — flipping the House — once gun owners got mobilized. In 2012, after seeing Stand-Your-Ground law shot down in the Senate, gun owners again made their voices heard by removing multiple incumbents from office. No one can forget the big success in 2014, as Michael Bloomberg’s bill sponsor and then Senator Daryl Beall was bounced out of office after months of educational work from Iowa Gun Owners. As much success as we’ve had in exposing gun-grabbers here in Iowa — the moment we let off the gas we begin to lose ground! We have to prove to legislators like Samad that we’ll never quit, we’ll never tire, and we’ll never grow soft in defending the Second Amendment! That’s what you’re saying when you sign your petition! So please, do so right away. And when you’re through, please consider chipping in a donation to enable us to alert more gun owners here in Iowa! We’re still recovering from a hugely successful and hugely expensive election program last fall, where we exposed gun-grabbers like Mike Gronstal. Now, as we push for Stand-Your-Ground law and try to stomp out Rep. Samad’s push, we need your help. Either way, please sign the petition right away and send it on to your friends, that’s most important. P.S. 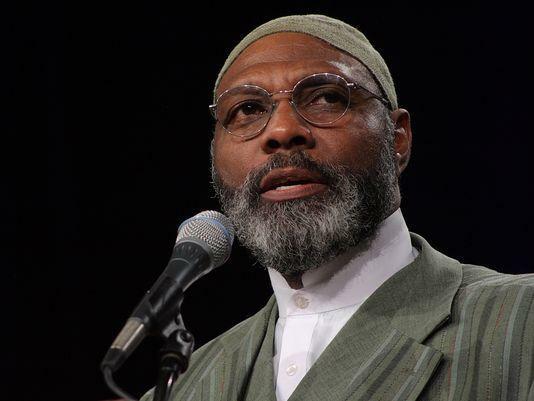 Former Black Panther member and now Iowa House of Representatives member Ako Abdul-Samad is continuing his war against the Second Amendment by filing HF145! If passed, HF145 would make it a FELONY to loan a gun to a friend or pass one down to your grandson, without adding your name to a statewide gun registry! Samad is testing gun owners, to see how much pushback he gets, in hopes to convince others in his caucus to support him! Help us stop him, by signing your petition opposing HF145 right away! Please also consider a donation to Iowa Gun Owners, to help us get the word out to other gun owners! Whether you can give $5 or $5,000 — please just act now!